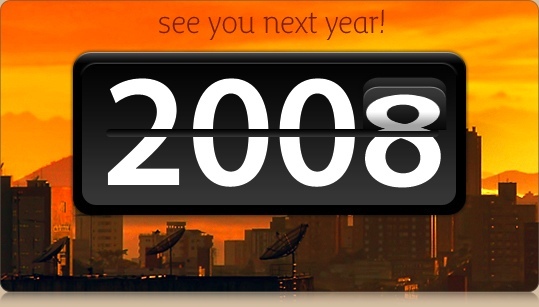 Regardless of time zones, Cocoia wishes you a successful, fun, and above all iconic 2008! Expect new regular blog updates to recommence soon after I have recovered from the exuberant partying. I want to thank Jelmar from Typehigh for the best typography of 2007 (the header font of this blog design, for example), all my clients who made my dream of working on what I love to do possible, and all you readers for keeping up with my erratic posting. I wish you all the best! A final teaser of things to come. As the holidays are approaching, I have decided that I am better off spending a few days not working in the year and taking the time to perfect my icons and the details in them. I will be blogging a bit less, and I probably won’t release much, if anything in the rest of 2007. But January 2008 will certainly be the date of the extended Orion iconset, and another set that I am working on in my spare time. I decided to show that off to whet your appetite for the holidays and the new year. Work in progress! 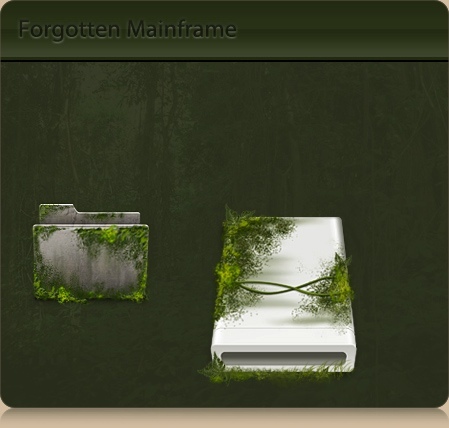 Apart from a good system-replacement set, I will release a set of icons in a theme of my first portfolio website; the ‘forgotten mainframe’; overgrown electronics from damp rainforests on alien worlds. I don’t want to make the same mistake as I did with Orion, so sound off in the comments if there is any motivation for this to be a system set instead of just a small icon set. Well, Mediatemple was kind enough to inform me over email that I would be getting an overage of $3851,- or more if I were to continue transferring data at the insane rate that I am. Yeah, Orion, the so well received set, has gone over a few odd terabytes now – something I can’t say has ever happened in my life as a website owner. I have, first and foremost, upgraded my server, but I think I might have to move to another hosting solution, or something like S3 for bulk data transfer. Offering help, advice? Drop a comment if you will.